The Italians call it 'arugula' or 'rucola'. The French call it 'roquette' and it may also be seen as 'Italian cress', 'ruchetta' and 'rugula' - so take your pick! Over the summer months there is nothing nicer than to go into the vegie patch and pick fresh salad leaves. 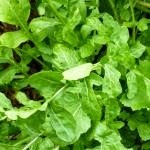 Rocket is one of those greens that we enjoy picking. It is nutty, peppery-flavoured and deserves its place in the popularity stakes. Rocket in our climate can be grown all year round. Although the plant is hardy, during hot weather frequent watering and the provision of some shade will prolong the crop’s productive life. 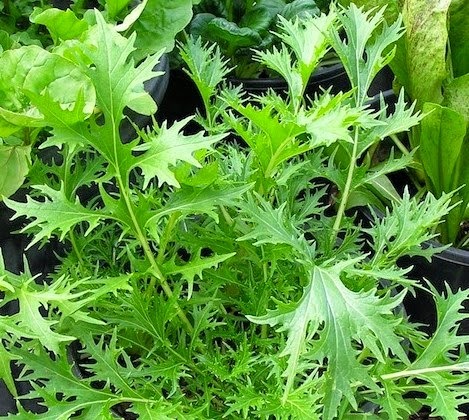 Like all salad leaf plants optimum growing conditions ensure tenderness and delicate flavor. The best crops are therefore grown in moist, free-draining and rich soil. Sow seeds in stages so you have continuity of crop and thin seedlings initially to 2cm apart and then when plants are a little larger and growing well, thin to a final spacing of 10-15cm. Eat your thinnings, roots and all as a terrific addition to your salad. Regular application of a liquid fertilizer is beneficial as well.